As the dust settled on my divorce, one thing was clear. I was determined to come out of this period of my life better, not bitter. So, because I’m a writer and I can do this sort of thing, I wrote myself a do-over. I consider myself one of the lucky ones. With three years of alimony ahead of me, an obligation crept in to honor the person inside of me I’d been pushing aside and burying for so long. Asking when it was in my life that I felt most myself, the answer came easily. Before I was married, I worked for a time as a photojournalist in South Africa. Despite being way out of my comfort zone, there was nowhere else I wanted to be and nothing else I’d rather be doing. I questioned why I admired her, the person I used to be and took it to another level. I found women today, who are working at the top of their game as photojournalists and wrote them into my life. I could no longer be the one flying across the globe documenting the lives of the disadvantaged, but I could connect with those who are in the process and emphasize the importance of the work they do. Over the past year, I’ve met with fifteen women who share with me one woman in particular whom they’ve photographed; who’s had an impact on them the most. Through stories of loss, neglect, and silence, what’s being communicated says as much about the women photographed as it does about the photojournalists themselves. Through their work an exquisitely feminine statement emerges, as does a wonderful approach to the world. It speaks of refraining from judging a woman by her surroundings or by her condition and lends respect for the person there, in the world being recognized for all she is. Have I been living vicariously, making up for lost time? Perhaps. Reclaiming a sense of what I’d let slip away? Most definitely. I’m a mother whose been raising her kids for the last fourteen years so there are no regrets. However, precisely because I am a mother, I have to keep pulling that thread. It’s for them I’m writing this book. Primarily, it’s to set an example and to show them a mother who is being true to herself. It’s also a way to show them the world so they will come to know it in a broader sense, beyond their own doorstep. Admittedly, this is also my way of educating them as girls in the world, to be wise and strong without giving too much power to the ones choosing to wreak havoc. 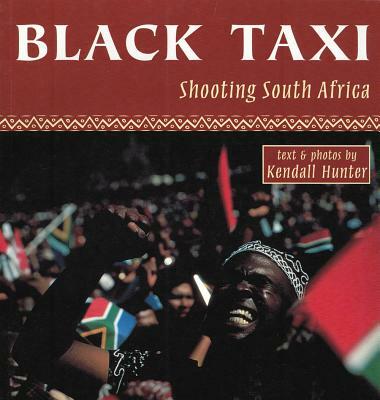 Kendall Hunter is a freelance journalist and the author of two books: Black Taxi: Shooting South Africa and Culture Smart! 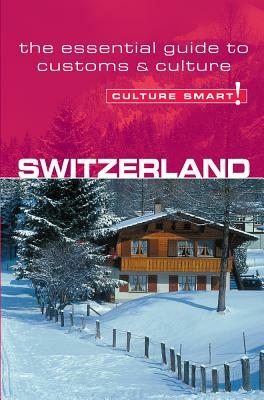 : Switzerland. She recently moved back to her home town of Banff, in the Canadian Rockies, with her two daughters after living 10 years in Zurich, Switzerland and is now working on her third book. She’s freelanced for Canada’s Globe & Mail; been a regular contributor to the Swiss parenting magazine, The New Stork Times and has most recently written for InCulture Parent Magazine and the Oregonian. Some years ago I worked for a microenterprise non-profit whose clients came from a low-income situation. One of the coolest things was one the small business owners would bring their kids to the events -- those kids were so proud of their parents for going after their dreams, for creating something from scratch, for figuring it all out along the way. It doesn't serve anyone, kids or parents, if we quash our identities and play parenting like it's a zero-sum game, so kudos to you, Kendall. Your kids are very lucky. My situation is very different. I married at seventeen and had the "American Dream" at twenty one. Two children, house, car, two paychecks. Years moved on. Thirty six years......... divorce. Alimony, yes. Two sons, no. Retired now. Looking back over the years and have a lot to say. No matter how old your child is, divorce is devastating. Children shy away as well as grandchildren. Will I be homeless someday?